December 28, 2016, Swinomish, Washington – Adrian Dominican Sisters Lorene Heck, OP, Janice Holkup, OP, Cele Gorman, OP, Iva Gregory, OP, Jean Marie Lehtinen, OP, and Francine Barber, OP, gathered this Fall with Rosemary Whaley, the sister of Sister Barbara Bieker and members of the Swinomish and Tulalip tribes, with whom she ministered, to celebrate Sister Barbara’s life and ministry. The Mass – held at St. Paul Church on the Swinomish Reservation – lasted two hours as many people Sister Barbara lived with and served shared memories shared. 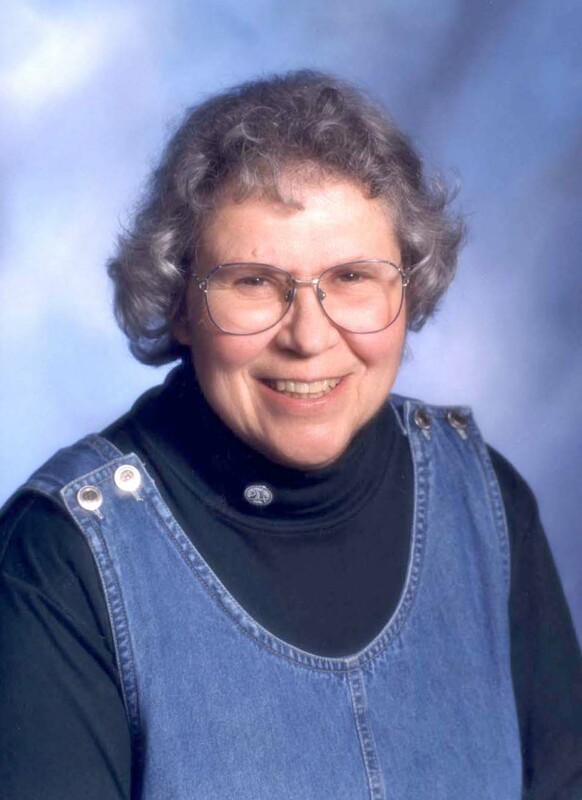 Sister Barbara, who had ministered with the Native Americans for 31 years, died at the age of 83 on August 4, 2016, at the Adrian Dominican Sisters Motherhouse in Adrian, Michigan. 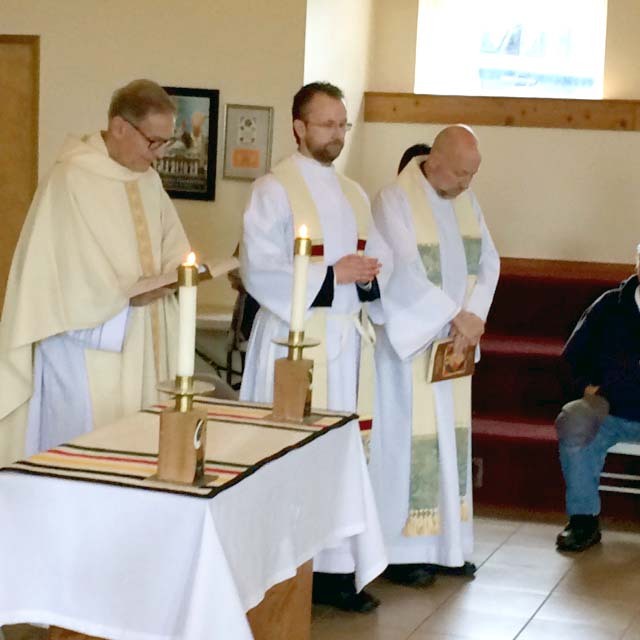 Three priests presided at the Mass: Father Mel Starzich, the pastor of the Swinomish tribe; Father Thomas Mc Michael, pastor of the Tulalip tribe and the former pastor of St. Paul Parish; and Father Pat Twohy, SJ, who ministered with Sister Barbara for many years. They expressed deep gratitude for her presence in their parishes. The chiefs of the Swinomish and Tulalip tribes, other tribal elders, and those whose lives were greatly affected by Sister Barbara also spoke of her impact. The Dominican Sisters were delighted to hear about the impact that Sister Barbara had among the Native Americans, the clergy, and Sisters with whom she ministered. What emerged was the picture of a woman who was gentle, affirming, and kind – but who also could be challenging. One woman spoke of repeatedly asking Sister Barbara the meaning of a contemplative experience and getting no response. Finally, Sister Barbara noted that such experiences have to be lived and taken in, not analyzed intellectually. No account of Sister Barbara’s life could be complete without mention of her beloved dog, Petey, described by one gentleman as bald, black, and ugly, appealing to no one. Sister Barbara, however, showed Petey great affection, undeniably a symbol of her acceptance of all types of people. Mass was followed by a celebratory meal. In the tradition of Potlach of the Northwest Native peoples, guests were all presented with gifts at the end of the feast. What a privilege it was for us, especially the Sisters, to be immersed in the love and gratitude of the Native people Sister Barbara served so beautifully – and who were also such a gift to her. She was a grace-filled Preacher of the Gospel in word and action. 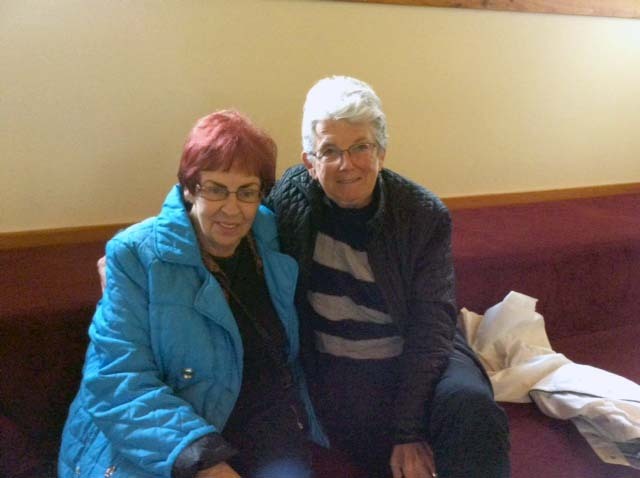 Left: Sister Barbara Bieker. Right: From left, Fathers Pat Twohy, SJ; Mel Starazich, and Thomas McMichael concelebrate the Mass celebrating the life of Sister Barbara Bieker, OP. 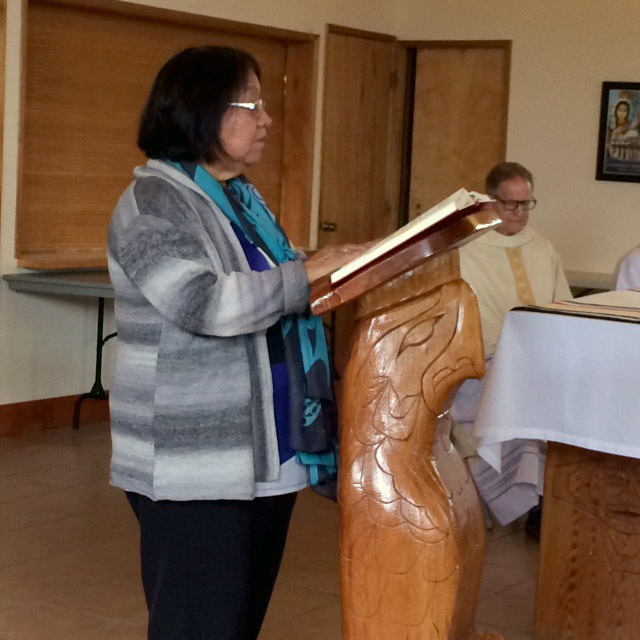 Left: Lesa Roehrich, the catechist for the Tulalip tribe, mentored by Sister Barbara, proclaims the second reading. Right: Among those celebrating Sister Barbara’s life were her blood sister, Rose, left, and Sister Cele Gorman, OP. How delightful to read of your memorial for Barbara Bieker along with her family, the community she served so lovingly for 31 years, and our Dominican congregation. Thank you for posting this story and tribute. I was touched by this story, especially because I did not know sister and her work! What a wonderful witness to going to the marginated and preaching the good news. May she meet many of her beloved people in heaven as each arrives.